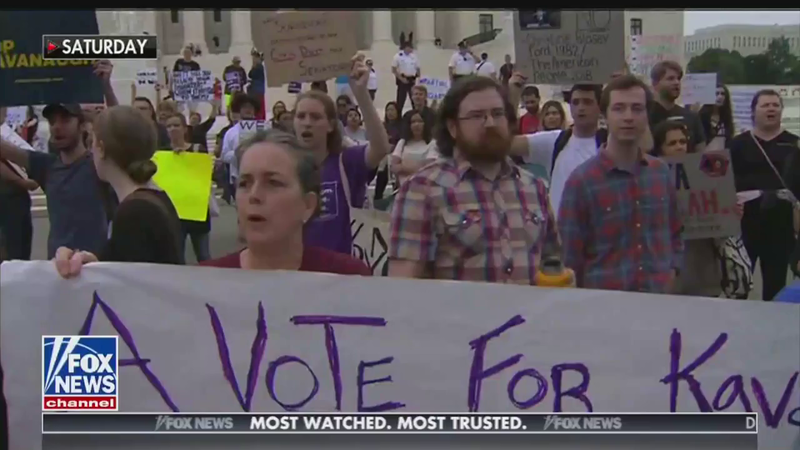 Should the media ask who organized anti-Kavanaugh protests? Asra Nomani, who wrote a Wall Street Journal op-ed tracking the money behind the anti-Kavanaugh protests, appeared on Fox & Friends Tuesday to discuss her piece. …Saturday’s protests [against Judge Kavanaugh] and unlawful disruptions were part of a well-funded, orchestrated network that books buses, hotel rooms and churches for such agitation. Soros-funded MoveOn .org wrote a guide, “How to Bird Dog”—harass officials in public places—in the spring of 2017, in preparation for town-hall meetings during a congressional recess. Over the past year, I have dialed in to MoveOn .org’s Sunday evening phone calls where they plan the operations and tell their “troublemakers” how to corner lawmakers. I still get alerts for their planning sessions. The last ones have been to #stopKavanaugh. MoveOn .org announced that its call the night after Justice Kavanaugh’s confirmation would feature Ana Maria Archila, the Colombia-born sexual-assault victim who cornered Sen. Jeff Flake in a Senate elevator last month while a confederate screamed “Look at me!” She is co-executive director of the Center for Popular Democracy. Her salary was listed as $156,333, with a bonus of $21,378, in a recent Internal Revenue Service 990 form. It’s a sign of media bias that the people from the well-funded groups behind the anti-Kavanaugh protests are described merely as “activists” and that their political motives and origins are largely unexplored. 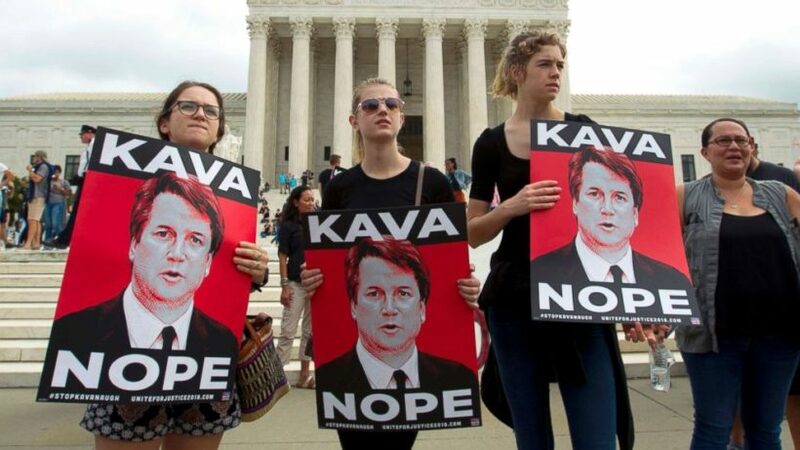 I have no doubt that the vast majority of protesters who want to stop Brett Kavanaugh are sincere and are merely exercising their constitutional rights. But imagine if two women had cornered a Democratic senator in an elevator and demanded an investigation of who had leaked to the media Christine Blasey Ford’s letter alleging that Kavanaugh had sexually assaulted her. … Reporters would have…hunted down any ties between the women and outside groups. 2. Do you agree with John Fund’s assertion: “It’s a sign of media bias that the people from the well-funded groups behind the anti-Kavanaugh protests are described merely as “activists” and that their political motives and origins are largely unexplained.”? Explain your answer. Watch Ms. Nomani’s interview. Read her WSJ article. Why do you think the media chose not to investigate the protesters the way Ms. Nomani did?